It's the final day of ICFF in New York and we've been oogling over all the the instagrams coming in. Here's a round up of a few faves! 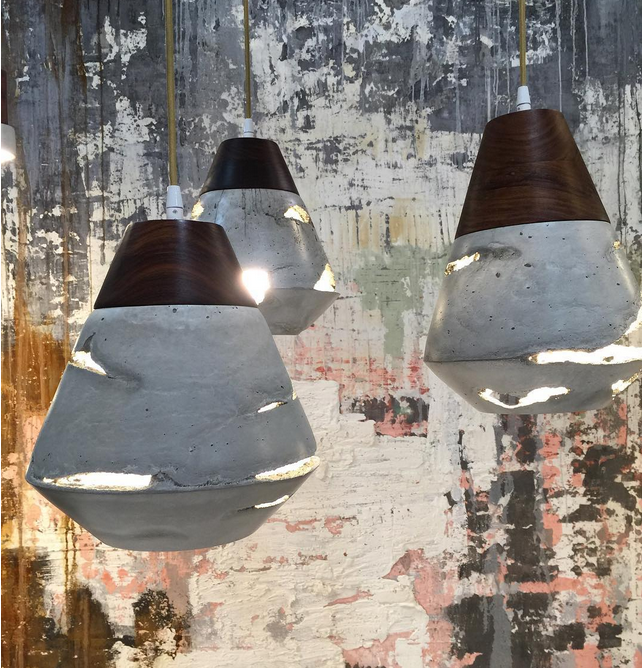 These concrete pendant lights by in.sek. Photo by customfinishing. And we love this hand troweled wall by @customfinishing for in.sek's booth. Pendant lamps by in.sek. This sleek and modern daybed by @coilanddrift. By Robb Zinn for Marset. Love this lighting. Winner of Editors' Award for Best Lighting at ICFF 2016. Photo by blankblankinc. The resurrection of the Memphis Design by @dusendusen. Photo by @mecpo. We're loving these poolside waterproof rugs by @shorerugs. The most stunning brass kitchen from @amuneal. Beautiful brass tables from Brazil. Beautiful coloured glass top tables from @debrafolz. Photo by flatiron27. Beautiful cords from @colorcord. Photo by @ithacajohn. Debuting their latest collections, Satori and Cirrus. Justina Blakeney's new collection was also in NYC this week. A beautiful rug line out of Scandinavia. Loving these irredescent hexagon tiles by Marca Corona. The Design Milk Station looked pretty amazing. Two Parts has some really cool 3D printed lights!